Black Hair’s Blockbuster Moment | The New York Times Despite and perhaps because of a surge in white supremacist language in the United States, a wave of black cultural resistance is flooding the arts as well as the streets. In Wakanda, the techno-brilliant African nation of the Marvel film “Black Panther,” black warrior women don’t wear wigs. Compelled to conceal her shaved head to carry off an undercover mission, General Okoye, played by Danai Gurira, calls her flowing wig “a disgrace” and discards it the instant she draws her spear to battle the bad guys. The general and her royal guard of female combatants, the Dora Milaje warriors, are among a cast of characters graced with gorgeous natural hairstyles that imbue this film with the visual power of holistic black beauty. The movie weds a Black Nationalist aesthetic to an ethos of global kinship. It projects a resilience that captures the mood of our present moment. Despite and perhaps because of a surge in white supremacist language in the United States, a wave of black cultural resistance is flooding the arts as well as the streets. 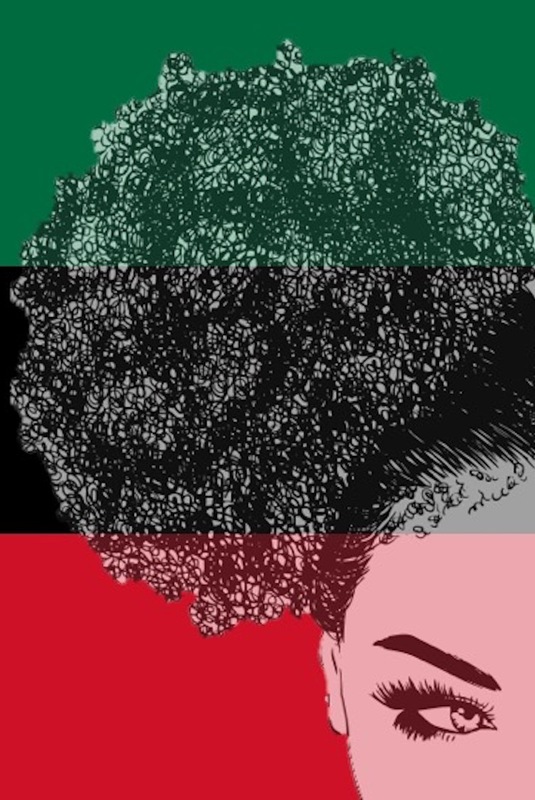 And with it, black hair in its natural state of sublime uprightness has returned as a symbol of political consciousness and visionary imagining. The self-assured leading women of “Black Panther” wear their “Wakanda knots,” elaborately interwoven braids, regal snow-white dreadlocks and decorated bald scalps with ease. When I saw these actresses onscreen in the company of my awe-struck children, I felt an exhilarating sense of community pride.